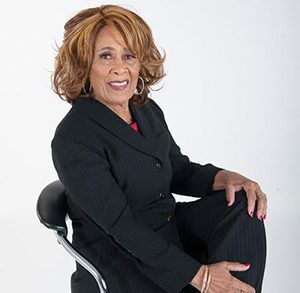 As Founder/CEO of Women Are Worthy Ettie Rutherford, outstanding educator, author, and women’s advocate, provides a knowledge-based consultancy which ensures programs and services for women who want to achieve their goals with a minimum amount of stress. 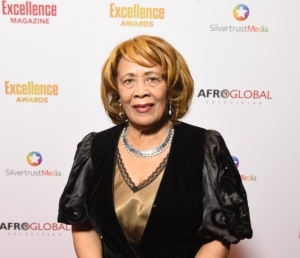 Her authenticity and competence are evident through her lived experiences as well as her profession. Ettie’s life story as portrayed in her well-acclaimed book, Women Are Worthy: Why Perch Like A Chick When You Can Soar Like an Eagle, coupled with her outstanding work as Elementary School Principal, Educational Policy writer and Anti-racist expert, enables her to provide step-by-step strategies to support women to competently achieve their goals without being overwhelmed with stress. Women Are Worthy: Why Perch Like A Chick When You Can Soar Like an Eagle” establishes her credibility as it details that despite teen-age pregnancy, years of emotional abuse from her ex-husband, and being abandoned in Calgary with four children she continued to teach full-time and improve her education…. graduating from the University of Calgary with a Bachelor of Education degree, a Graduate Diploma in Curriculum and Instruction and finally a master’s Degree in education. To competently serve women, Ettie has devised R-I-S-E-U-P, a comprehensive system, which is the basis of programs which assist women to build bridges while using challenges as stepping stones to achieve their goals. Services and programs are provided for individual women, women’s groups, groups focusing on children’s education as well as businesses which want to improve the competence and health of women employees. *Certificate of Recognition from Prime Minister Brian Mulroney for her contribution to Multiculturalism in Alberta. 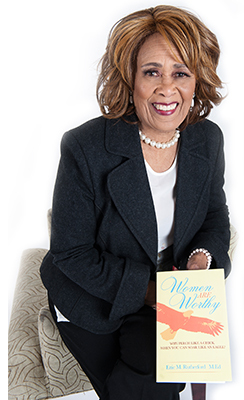 Ettie is now writing her second book, “All Women Are Worthy: Let’s Rise to Success”.